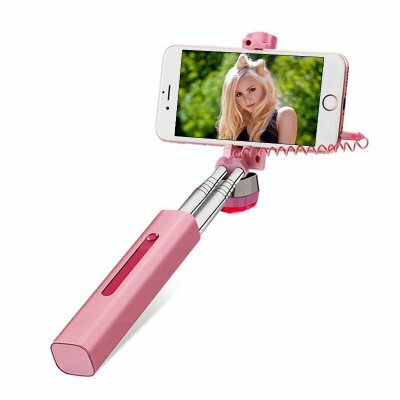 Successfully Added ATONGM Rose Gold Aluminum Selfie Stick - For Android and iOS, Plug And Play 3.5mm Jack, 66.5cm Extendable, 180 Degree Rotation to your Shopping Cart. Snap the perfect selfie with this shiny rose gold selfie stick. Supporting both Android and iOS devices, this selfie stick allows you to capture all those special moments while out with your friends in stunning beauty. With its plug and play design all you have to do is connect your smartphone to the camera shutter through its 3.5mm jack, and with the push of a button, you’ll ready to take magnificent and stable pictures of yourself and your friends during your upcoming adventures. 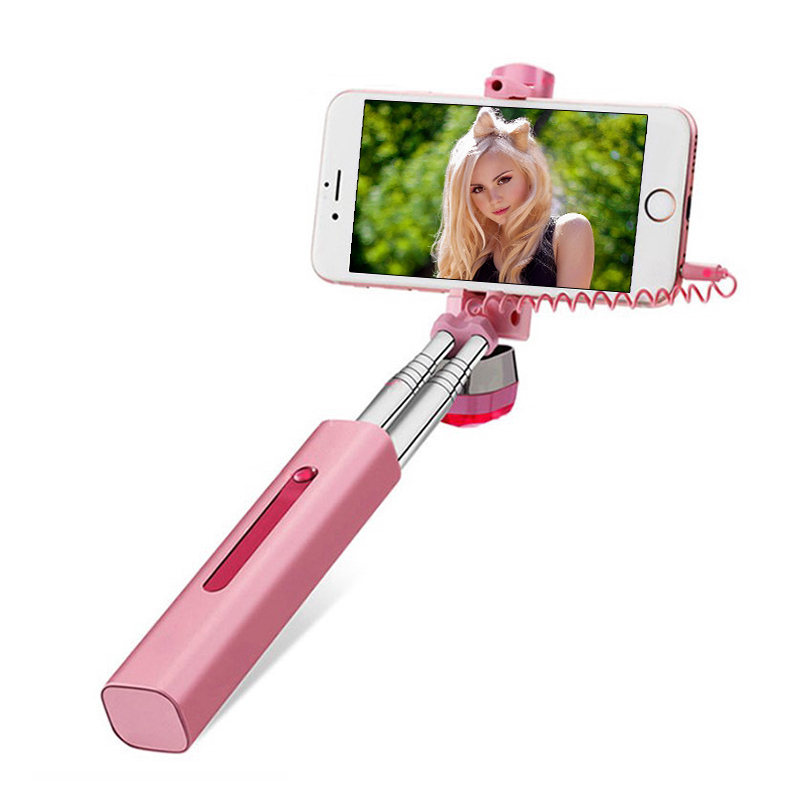 Perfect for all the princesses out there, this rose gold colored selfie stick comes with a stylish and durable aluminum alloy casing. When folded, the stick itself measures no more than 16cm, allowing you to easily slip it in your purse or bag. With a weight of merely 149 grams, this camera shutter is extremely portable and easy to carry around no matter where you’re headed. When folded out the selfie stick can reach an extendable length up to 66.5cm, allowing you to efficiently take large group pictures and selfies together with all your friends. Thanks to its double stainless steel sticks you will be able to take stabilized images, ensuring the best photo quality out there. Added to that the head of the selfie stick can be turned around 180-degrees, ensuring that you'll always get the right angle for your picture. From now on you’ll be able to snap beautiful and stabilized pictures and capture all those special moments with your friends without needing to ask the help of a stranger. Simply grab your selfie stick, plug in your phone, and press the button. Starting from today not a single special moment in life will stay left uncaptured as, with this selfie stick at hand; you have all the means necessary to snap the perfect pictures at any time. This selfie stick comes with a 12 months warranty, brought to you by the leader in electronic devices as well as wholesale electronic gadgets..
Arabic: - عصا سيلفي - Chinese Simplified: - 自拍照棍子 - Czech: - tyč na selfie - Dutch: - selfie stok - French: - bâton de selfie - German: - Selfie stick - Hebrew: - selfie מקל - Hindi: - फ़्लिप छड़ी - Hungarian: - selfie stick - Italian: - selfie bastone - Japanese: - selfie 棒 - Korean: - selfie 스틱 - Malay: - Batang selfie - Norwegian Bokmål: - selfie stick - Romanian: - selfie stick - Russian: - Селф stick - Spanish: - selfie stick - Thai: - ไม้เซลฟี่ - Turkish: - selfie sopa - Vietnamese: - selfie stick.